The Russian Soyuz TMA-20 spacecraft, also known by its US designation of 25S, departed from the International Space Station (ISS) on Monday after five months on-orbit. 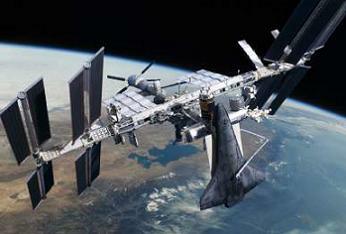 Prior to a successful landing, Soyuz TMA-20 participated in a unique and historical event to photograph the ISS while the Space Shuttle Endeavour is docked to the complex, providing some amazing views. Originally known as a Soyuz flyabout, the proposal to use a Soyuz spacecraft to obtain historic imagery of a Space Shuttle docked to the ISS was first revealed by this site prior to the STS-133 mission in February this year. 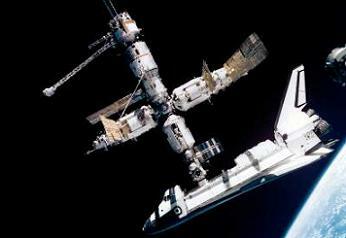 The last and only time a Space Shuttle was photographed docked to a space station was during STS-71 in June 1995, when a Soyuz spacecraft undocked from the Mir space station in order to photograph the undocking of Space Shuttle Atlantis. Today, with the Space Shuttles flying their final missions and with the US segment of the ISS now fully complete, NASA’s desire to obtain visual imagery of the apex of human spaceflight was strong. 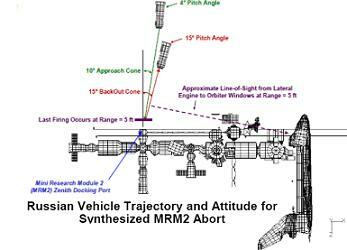 Prior to the STS-133 mission, the proposal was to undock the Soyuz TMA-01M spacecraft from the MRM-2 “Poisk” Zenith port during the STS-133 mission and back away to a safe distance, whereupon the ISS would move to an attitude which would best show off Shuttle Discovery. 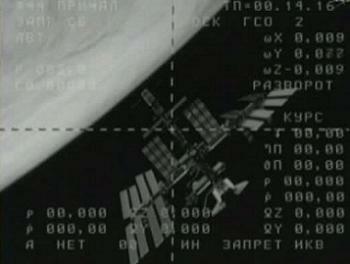 The Soyuz TMA-01M crew were then to take photos of the Shuttle/Station stack, and then re-dock to the complex. However, ultimately, the fact that Soyuz TMA-01M was the first of the new 700-series “digital” Soyuzes made the operation too risky for the Russians’ liking. Following its cancellation from the STS-133 mission, the Soyuz flyabout then moved to STS-134, with the same proposal as before except that the older 200-series “analogue” Soyuz TMA-21 would be present at MRM-2 Zenith. However, concerns relating to a potential ISS de-crew situation should Soyuz TMA-21 fail to re-dock with the station caused planning efforts to switch focus to Soyuz TMA-20 at MRM-1 “Rassvet” Nadir. Under STS-134’s original launch date of April 29th, the Soyuz TMA-20 undocking would have needed to be brought forward in order for Soyuz TMA-20 to undock during Space Shuttle Endeavour’s stay at the station. Due to the launch slip of Soyuz TMA-02M, bringing the TMA-20 undocking forward was deemed unacceptable due to crew time impacts on the station and the STS-134 mission, and ultimately NASA and Russia decided to delay the Soyuz TMA-20 undocking in order to minimise crew time impacts of the Soyuz TMA-02M launch slip. Soyuz flyabout planning then moved to STS-135 using Soyuz TMA-21 at MRM-2 Zenith, however the packed nature of the STS-135 mission timeline made finding room for the flyabout very tricky. 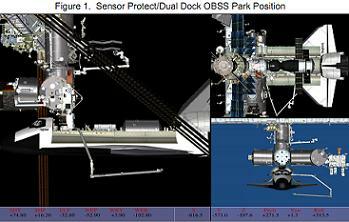 Following STS-134’s launch slip to May 16th, Endeavour’s docked mission aligned perfectly with the delayed Soyuz TMA-20 undocking, and due to recent positive analysis into Dual Docked Operations (DDO), a rare and unique opportunity presented itself to flyabout planners. The opportunity was presented due to the fact that Soyuz TMA-20 would be undocking from the ISS during Endeavour’s stay for a return to Earth, and so if a photography task were added to the undocking procedure, there would be no need for a re-docking with the station. This eliminated the need for a flyabout manoeuvre altogether, since there would be no need to re-align with the docking port, and eliminated the risks associated with a failed re-docking and subsequent loss of ISS crewmembers. 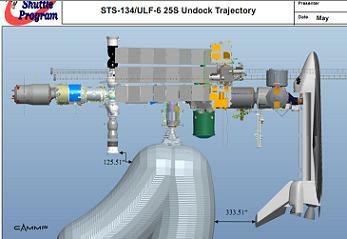 Following detailed analysis into MMOD, thermal conditions and thruster plume impingement of the station, NASA announced during last Friday’s STS-134 Mission Status Briefing that a Soyuz documentary imagery task (no longer referred to as a flyabout) was being added to the Soyuz TMA-20 undocking procedure. A few hours prior to the Soyuz TMA-20 undocking, the Shuttle Remote Manipulator System (SRMS) was manoeuvred the Orbiter Boom Sensor System (OBSS) to a safe position behind Endeavour’s heat shield, in order to protect the boom’s sensors from Soyuz thruster pluming. Endeavour’s Payload Bay cameras were also be pointed away from the Soyuz for protection, and her star tracker doors were closed. The Soyuz TMA-20 crew – comprised of Soyuz commander Dimitri Kondratyev of Russia, and flight engineers Cady Coleman of the US and Paolo Nespoli of Italy – suited up, conducted leak checks, and enter their Soyuz capsule per nominal procedures. Hatch closure between Soyuz TMA-20 and the ISS was on schedule, at around 2:30 PM EDT / 6:30 PM GMT. About 40 minutes prior to the Soyuz undocking, the ISS performed a 90 degree pitch-up manoeuvre from its standard Shuttle docked attitude, -XVV (negative X axis in Velocity Vector), to the Soyuz undocking attitude , -ZVV (negative Z axis in Velocity Vector) under the control of Russian Segment (RS) thrusters. Once the undocking attitude was achieved, the ISS entered a period of free drift and Soyuz TMA-20 undocked from the ISS at 5:32 PM EDT / 9:32 PM GMT. The undocking occurred one orbit earlier than normal due to the need to spend additional time on the photographic procedures. Commander Kondratyev then began to manually fly the Soyuz away from the ISS, and the Russian thrusters resumed attitude control of the station. The STS-134 crew were scheduled to be asleep during the undocking, but due to the light workdays surrounding the undocking, it is believed some managed to be awake for the event, and may have even attempt to photograph Soyuz TMA-20 from the port-side windows of Endeavour. Once the Soyuz reached 200 meters away from the station, which occureed around 10 minutes after undocking, Kondratyev held position and Paolo Nespoli opened the hatch between the Soyuz Descent Module, where the crew were seated for the undocking, and the Orbital Module. 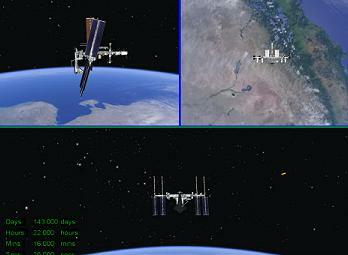 After about eight minutes of set-up, Nespoli began the imagery of the Shuttle/ISS stack using a High Definition video camcorder and a High Resolution digital camera. The Italian astronaut was heard taking the historic photos over the communication loops, as he “click, click, clicked” away at the amazing view. Five minutes later, and with the Soyuz positioned slightly above the ISS due to the need to keep the Sun out of Kondratyev’s eyes, the ISS began a 15 minute, 129 degree manoeuvre (at 0.2 degrees per second) which placed the ISS in the +YVV (plus Y axis in Velocity Vector) attitude, at a 90 degree side-on angle to the Soyuz. Nespoli was filming and photographing the manoeuvre all throughout this period, and also occasionally used a handheld laser rangefinder to assist Kondratyev with his manual station keeping. This was the first time that a Soyuz has station kept with the ISS at 200m, and the first time that a Soyuz has station kept while the ISS has changed attitude. Nespoli continued to image the station for about 10 minutes after the manoeuvre is complete, whereupon Kondratyev conducted a final separation burn to take the Soyuz away from the station. In total, Nespoli was expected to acquire roughly 30 minutes of stunning images and video of the Shuttle/Station complex – all in orbital daylight and with the Earth’s horizon as a backdrop. Following the Soyuz separation burn, the ISS returned to its nominal -XVV Shuttle docked attitude under Russian thruster control, and Nespoli removed the memory cards from the video and still cameras. The Russian video and still cameras remained in the Orbital Module to burn up in Earth’s atmosphere upon re-entry. At that time, roughly 48 minutes after the undocking, Nespoli returned to the Descent Module, along with the memory cards, and closed the hatch between the Orbital Module and the Descent Module. The Decent Module was then leak checked for a second time, and once Nespoli donned his gloves, his Sokol suit was also leak checked. Soyuz TMA-20 then begin preparations to return to Earth per nominal procedures. Approximately 4 hours and 4 minutes after the undocking, the Soyuz conducted its de-orbit burn at 9:36 PM EDT / 1:36 AM GMT, and re-entered Earth’s atmosphere roughly 23 minutes later. 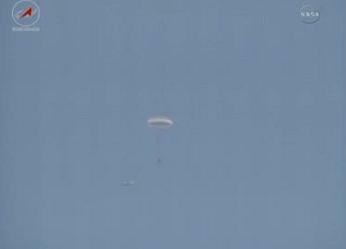 After eight minutes of re-entry, the parachutes deployed, and the crew hit the deck in Kazakhstan 15 minutes later, at 10:26 PM EDT / 2:26 AM GMT. After the crew were extracted from the Soyuz, it is understood that the memory cards containing the historical images and video will be copied either at the landing site or on the helicopter back to the nearby airfield. The images and video will then either be sent electronically to the US, or will immediately fly back to Houston along with Nespoli and Coleman, whereupon NASA aims to release them to the public within a day. The images will have engineering value as well as historical value, since they will reveal parts of the station that are normally never seen, but their true value will be their tribute to the thousands of men and women who have worked on the Shuttle and ISS programs. For them, as well as spaceflight fans the world over, the unique chance to see the magnificent and majestic Space Shuttle flying together with its greatest legacy will be something to be remembered long after “wheels stop” is called on the final Shuttle mission in July. NASA managers hope to see the iconic images appear in textbooks for decades to come, as a historical record of the Space Shuttle at its height of achievement, and as an example of what human beings can achieve in space. 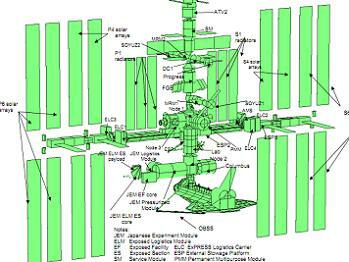 At this time, it is not yet known whether obtaining the images on STS-134 will remove the Soyuz flyabout proposal from the STS-135 mission. 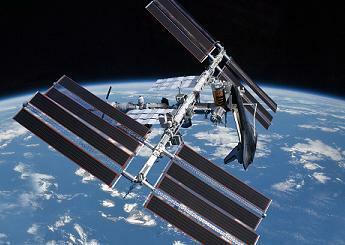 NASA managers will evaluate the STS-135 Soyuz flyabout proposal following the conclusion of the STS-134 mission. (Images used, via L2 presentations, graphics and videos, in addition to Lee Jay Fingersh (photoshop lead image, and Keith McNeill’s model photography – extra additions via NASA TV).